Want to create custom printed yoga mats? Our flatbed printer can help you do this by direct inkjet printing on yoga mats. 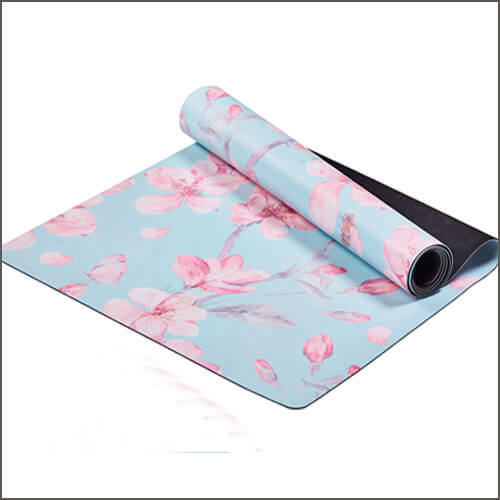 Whether the material of yoga mat is EVA, PVC, or PET, it is so easy to complete with our YD-F2513R5 flatbed yoga mat printing machine. 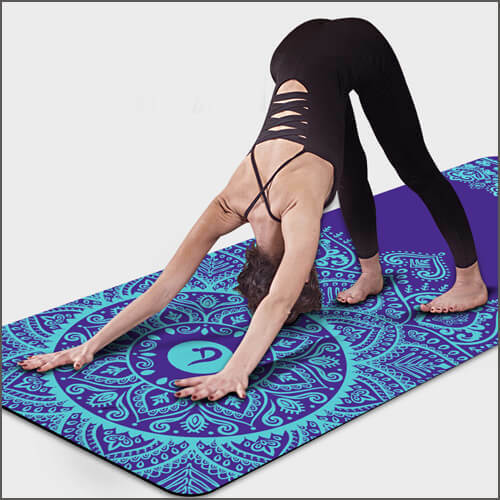 With our YD-F2513R5’s full-color printing capability and high quality inks, you can get yoga mat prints with color-bright, sharp and abrasion resistant images. The eco-friendly UV curing ink our flatbed printing machine used meets green production. And its UV LED curing system is energy-saving and efficient. Adopting industrial Ricoh Gen5 print head, our YD-F2513R5 printer has a stable performance, and 24hr×7 production can be achieved, presenting high resolution and natural color transition. The machine is easy to use even for a entry-level. Yoga is a sport about beauty, and custom printed yoga mat can enhance your enjoyment of beauty. Welcome to contact us for more details.